Half Board individual prices per person per day (drinks not included). Prices are in euro, subject to change without prior notice, and include 10% VAT; valid for minimum stays of one week. For shorter stays, please request our quotation. The hotel also has available a Relax Family Special (Suite rate). The Gran Relax Sea View included room can be interconnected with a Standard (quotation available on request). A Standard Special is also available (at the Standard tariff plus 15%). Check in/check out any day of the week. Free cot to be requested at time of booking. 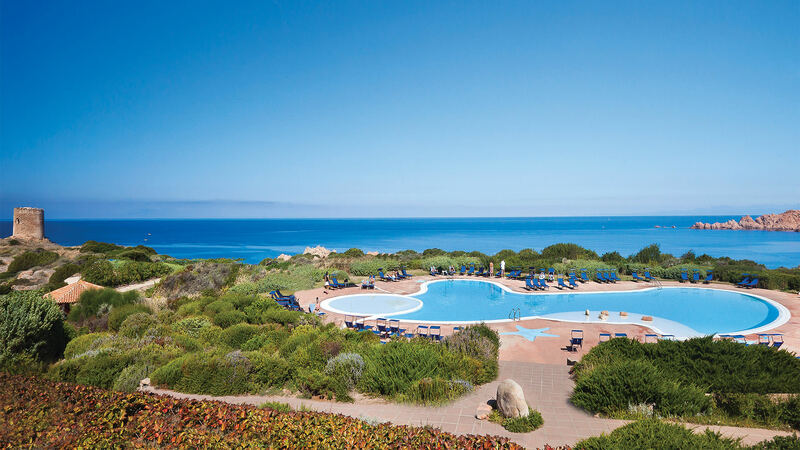 Find out more about the offers that the Hotel Relax Torreruja has created for unforgettable honeymoons and anniversaries in Sardinia. Details of Wedding and Anniversary offer. Special Offerts with Ferry or Airplane included. Adults staying in the President Sea View and Imperial Suite Sea View have free use (reservation required) of the multifunctional heated sea water pools, turkish bath, sauna, cardio fitness room and a relaxation area by the sea. 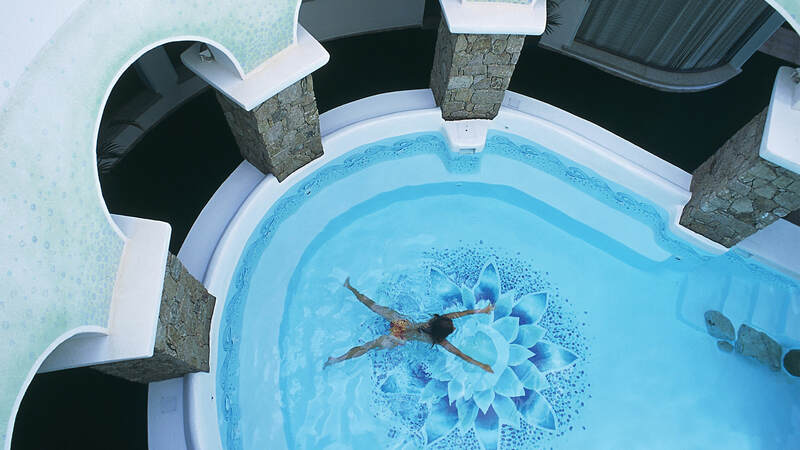 An extraordinary offer to introduce and discover the pleasures and benefits of the fabulous world of Thalassotherapy & SPA in total freedom and relaxation. Cost per package € 110.00 per person. N.B. On request in Standard it is possible to allocate a child up to 5 years old on a single sofa bed (50% discount). 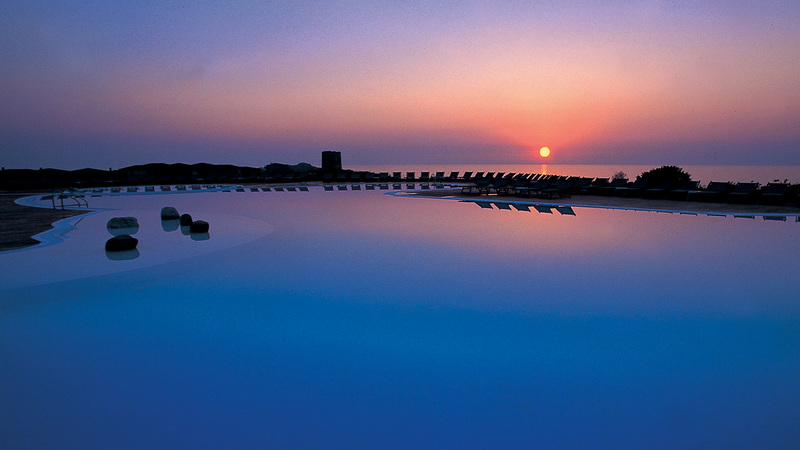 In Imperial Suite Sea View minimum of 3 full paying rates; reductions begin with the 4th bed. *The reductions for the third, fourth bed and over sharing the room will be applied also on the sea view supplement. Children have to follow the arrangements made by their parents at time of booking. A document proving the age of the children is required. € 13.00 full day including one parasol and two sun beds, € 5.00 extra for first and second row. NB. If tourist tax applied, it will be charged to the guest.